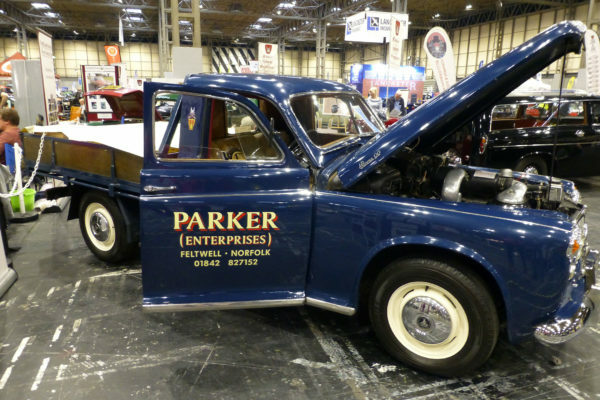 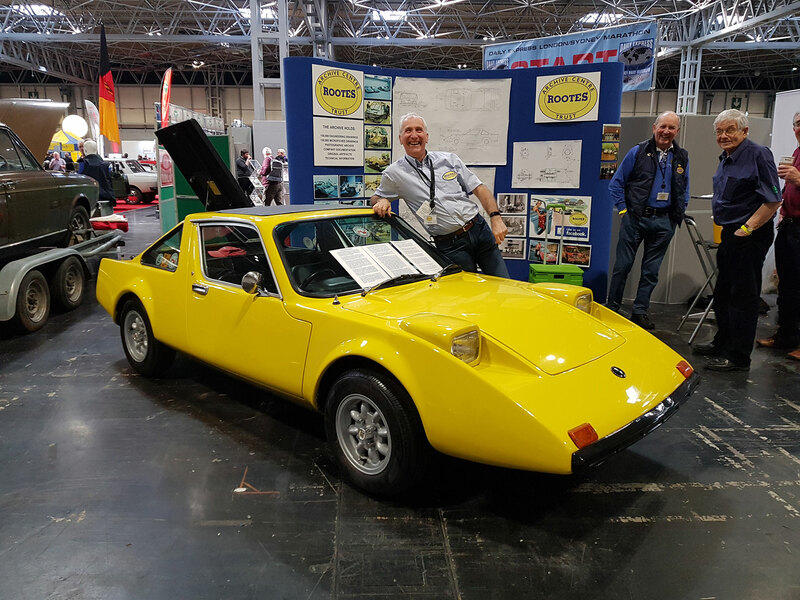 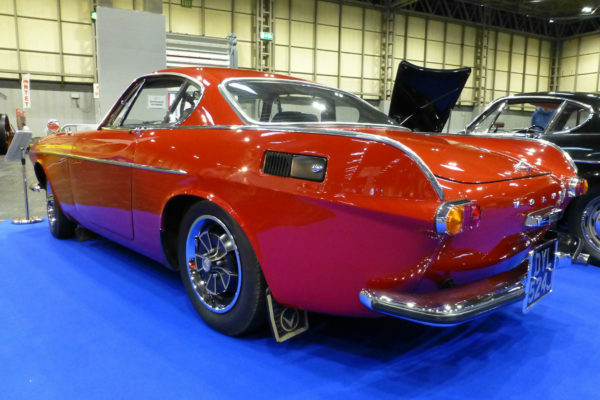 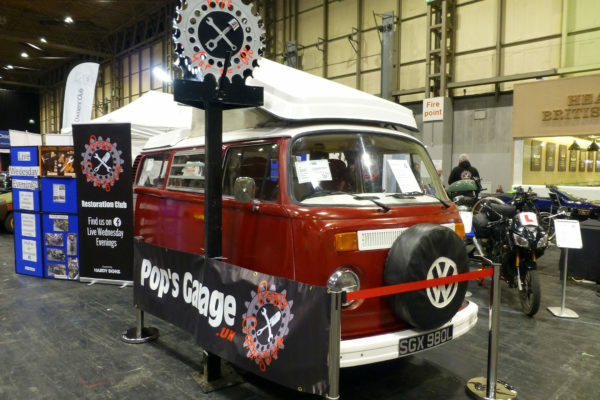 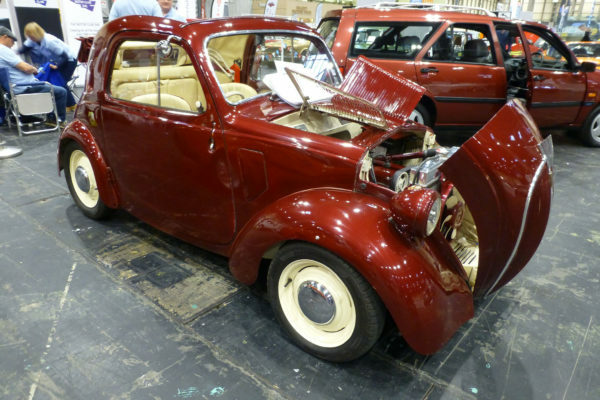 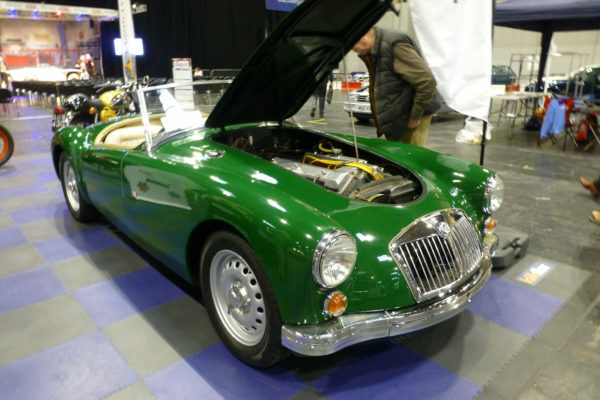 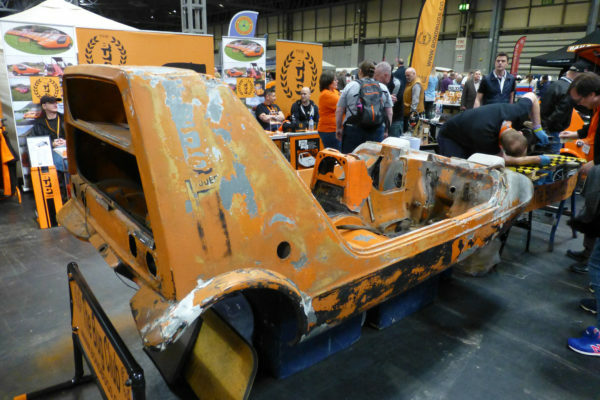 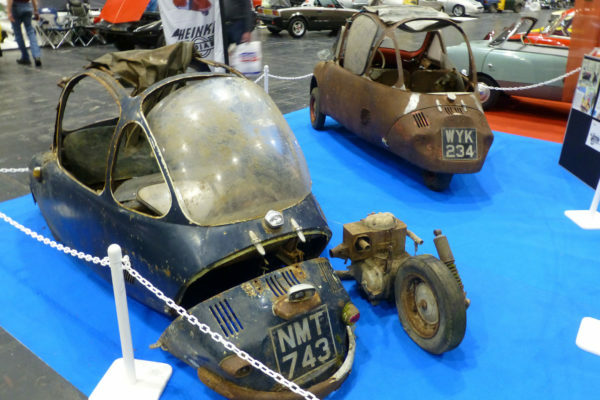 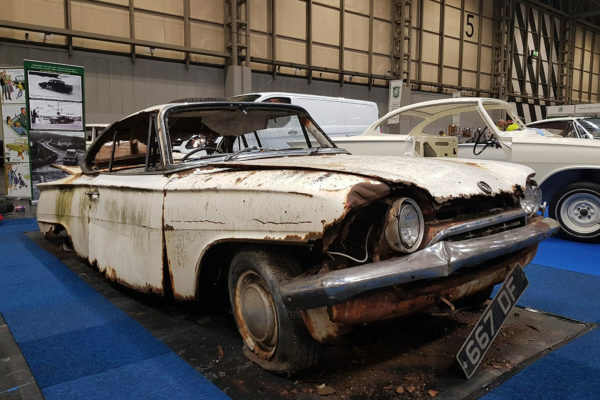 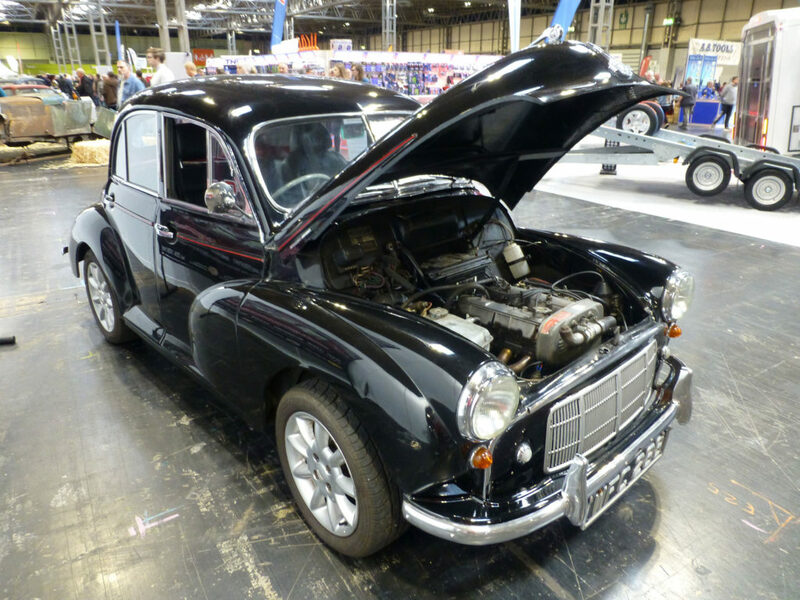 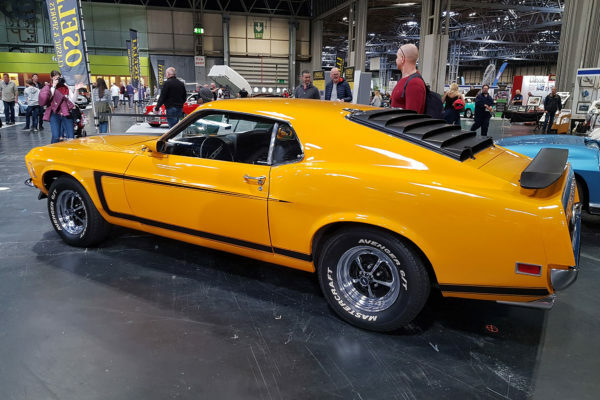 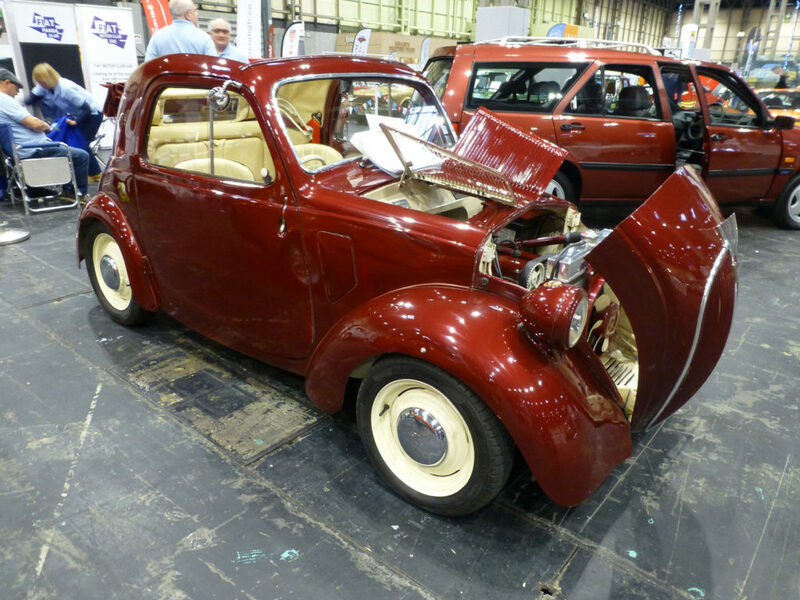 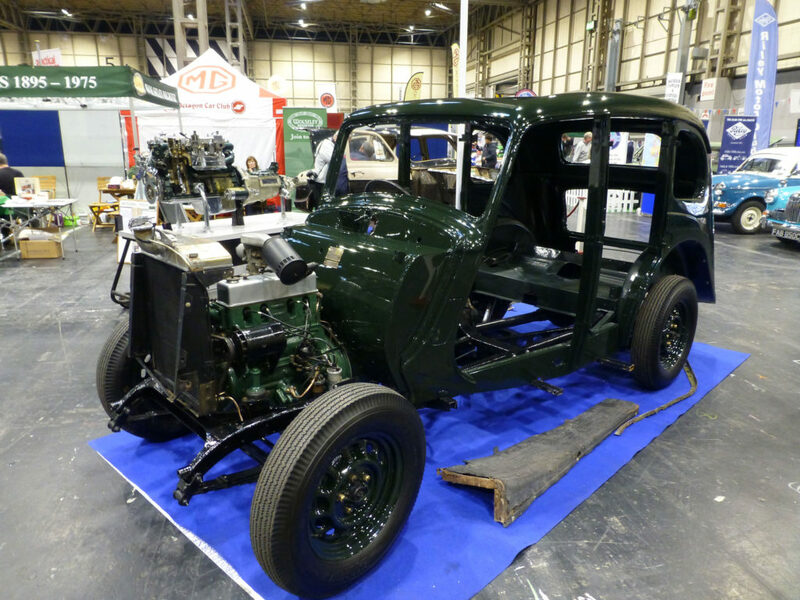 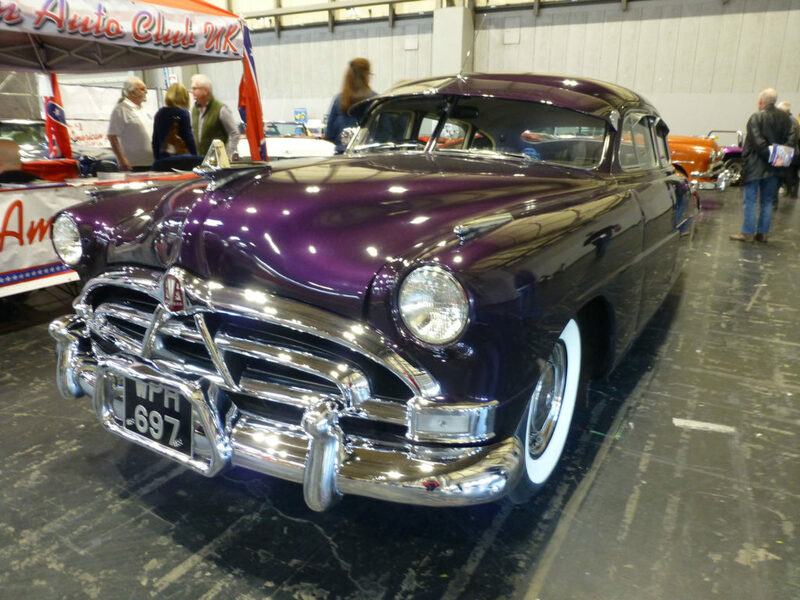 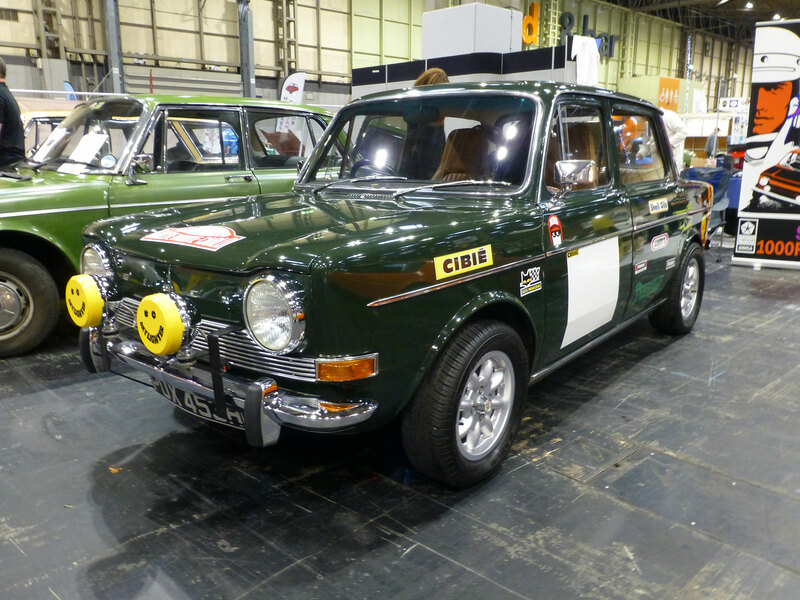 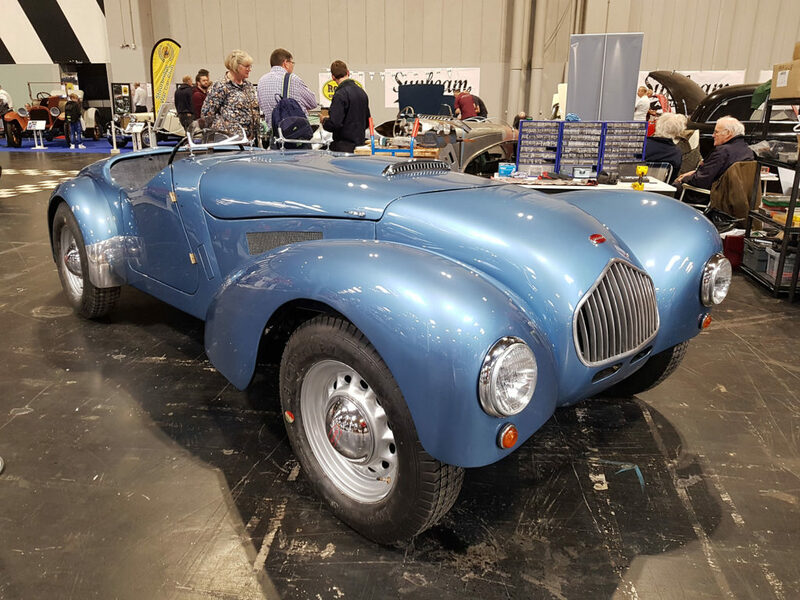 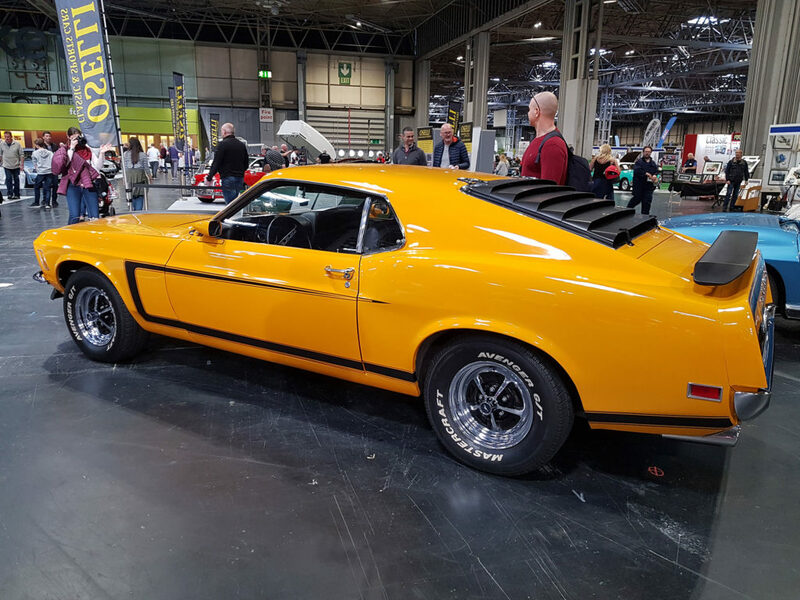 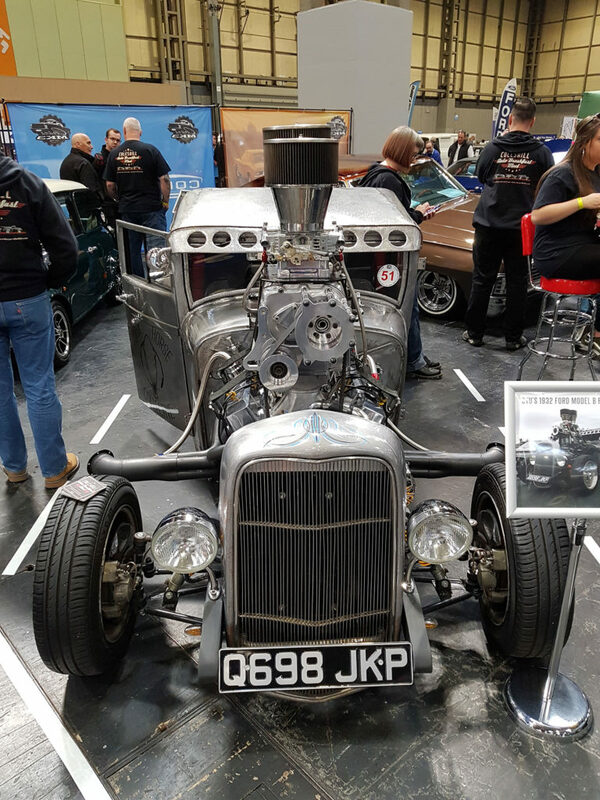 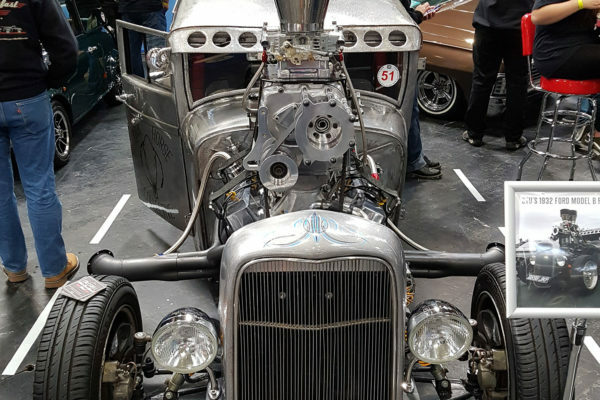 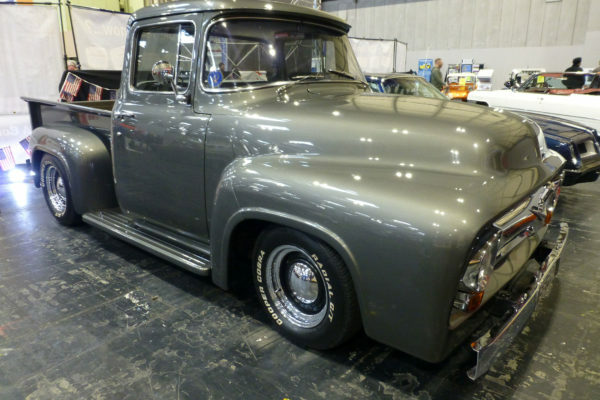 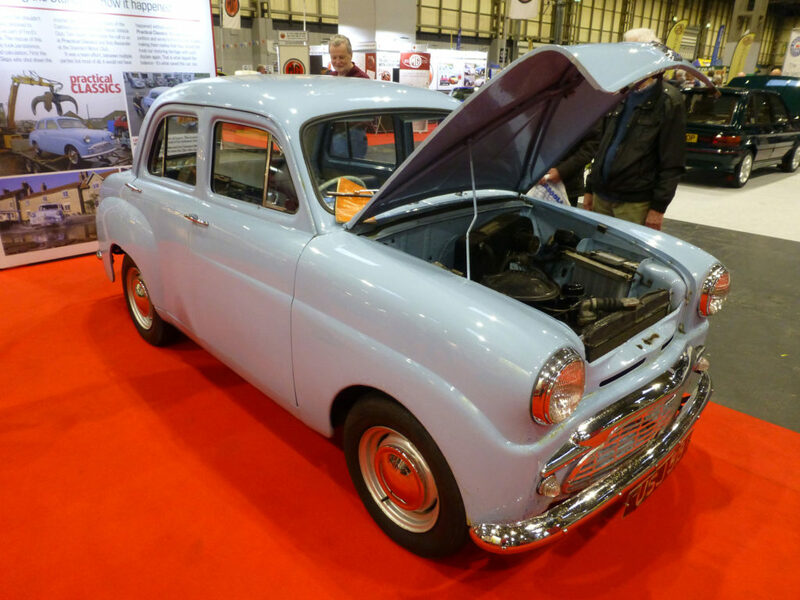 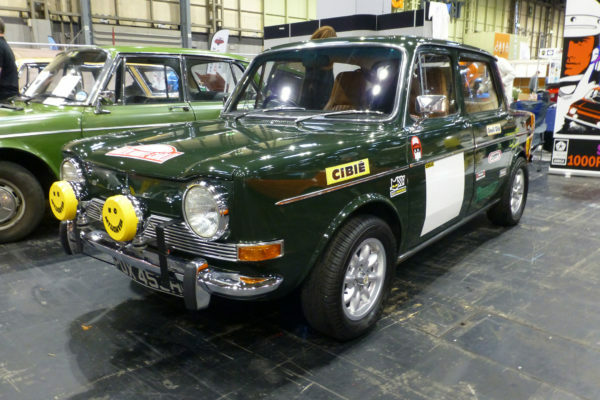 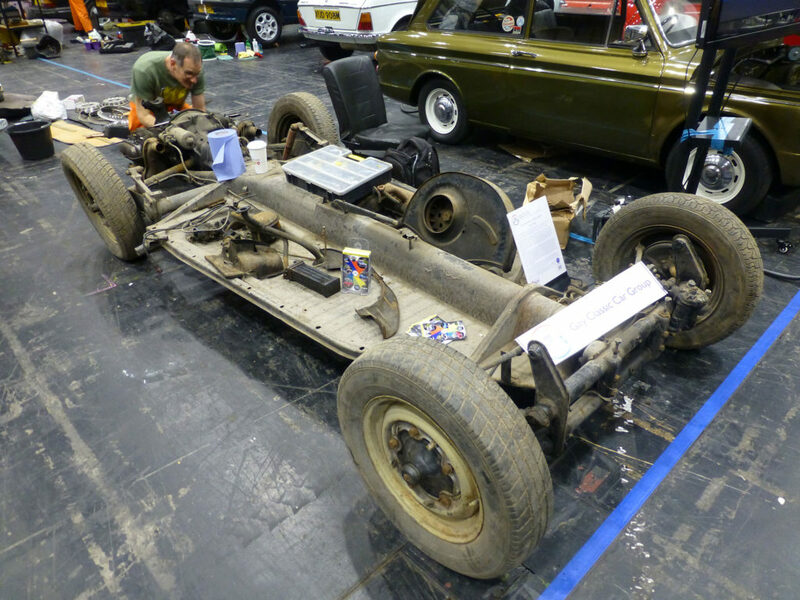 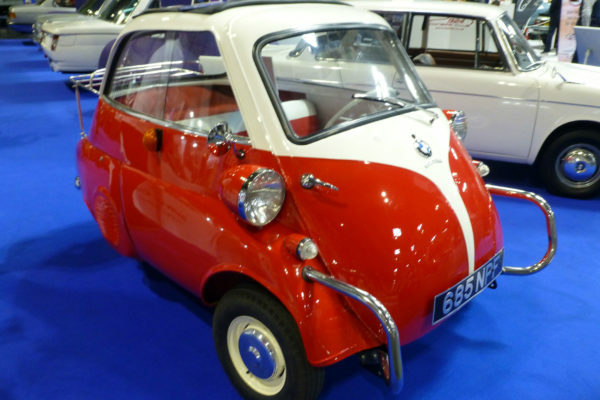 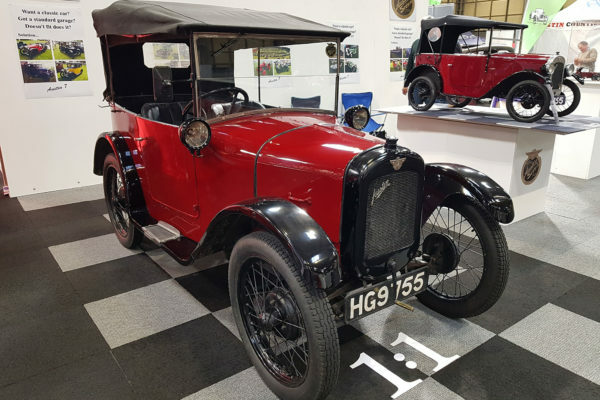 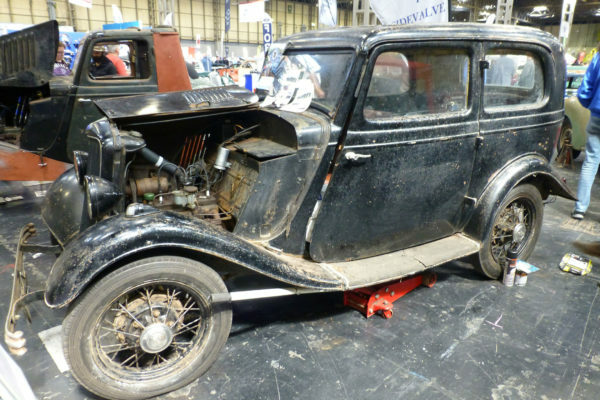 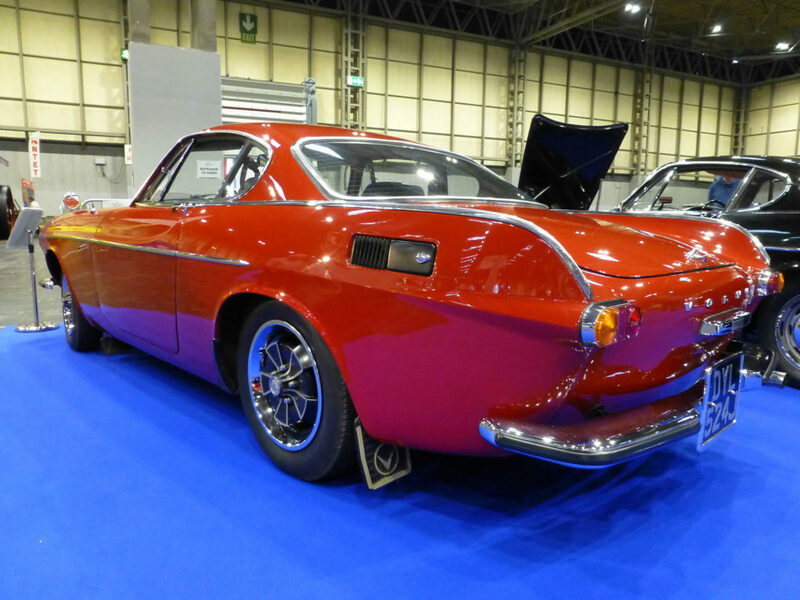 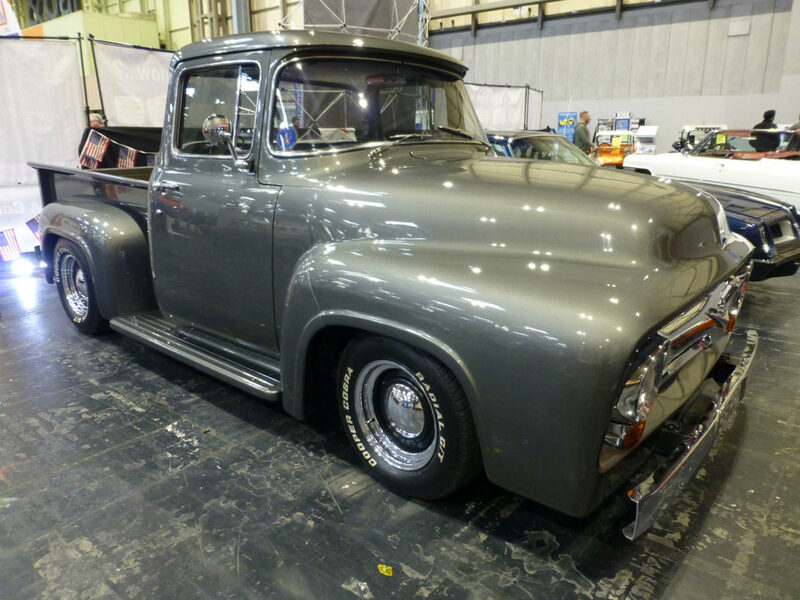 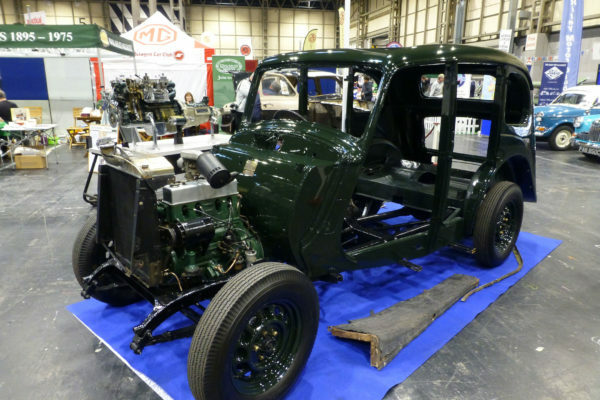 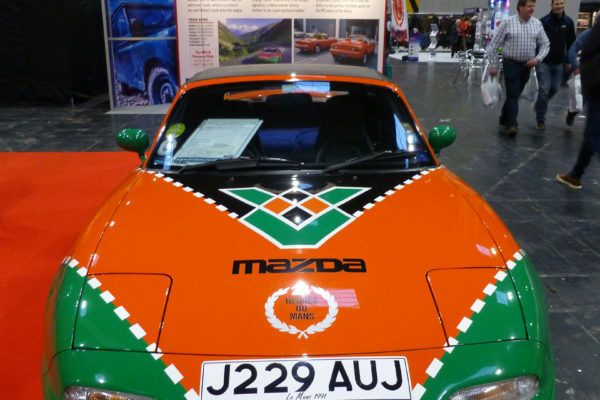 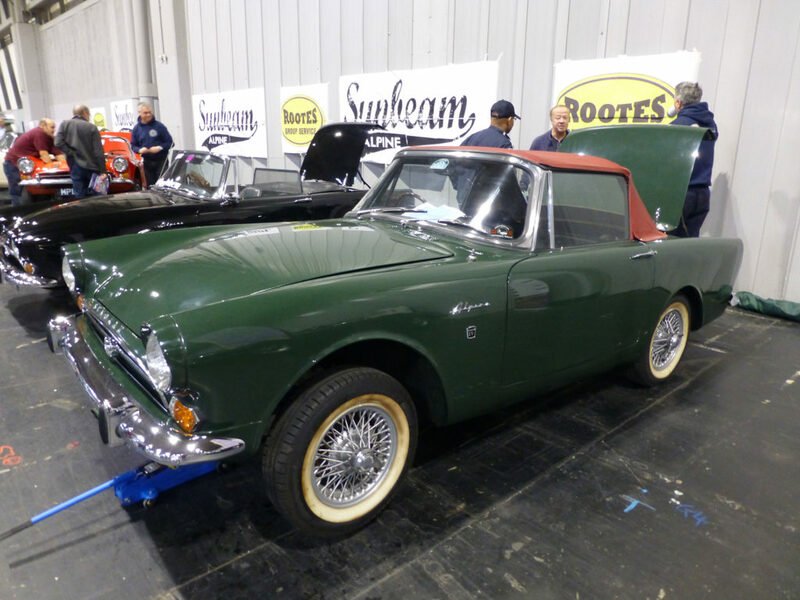 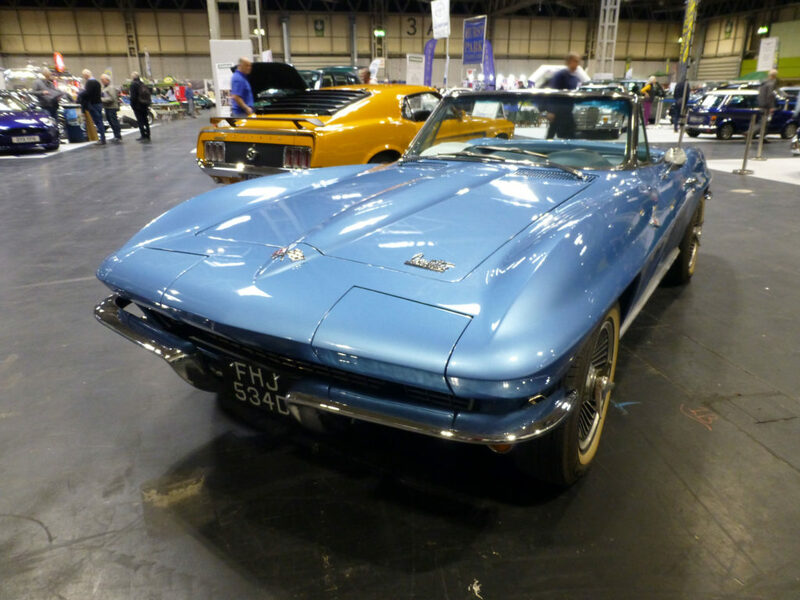 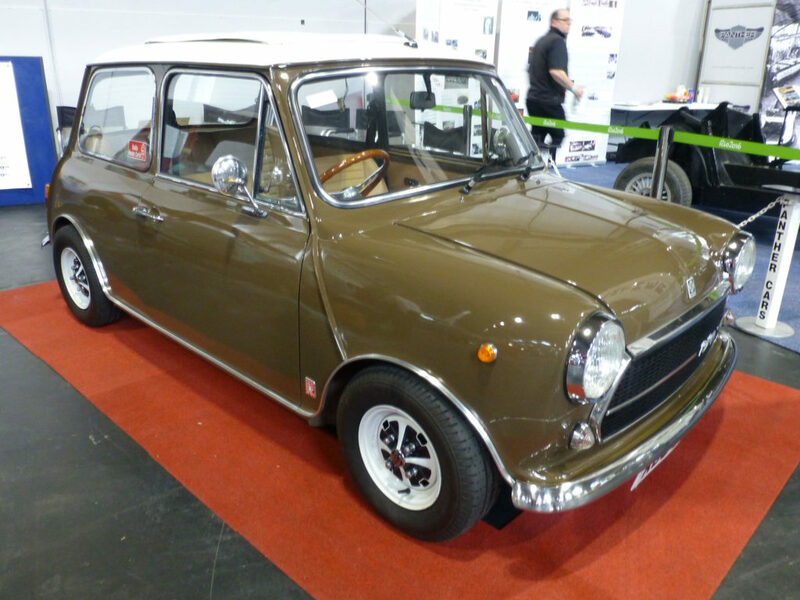 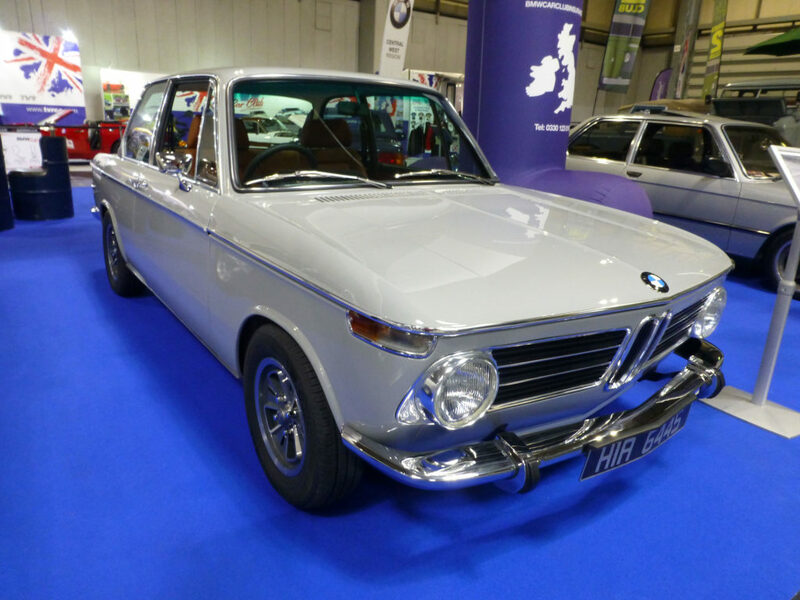 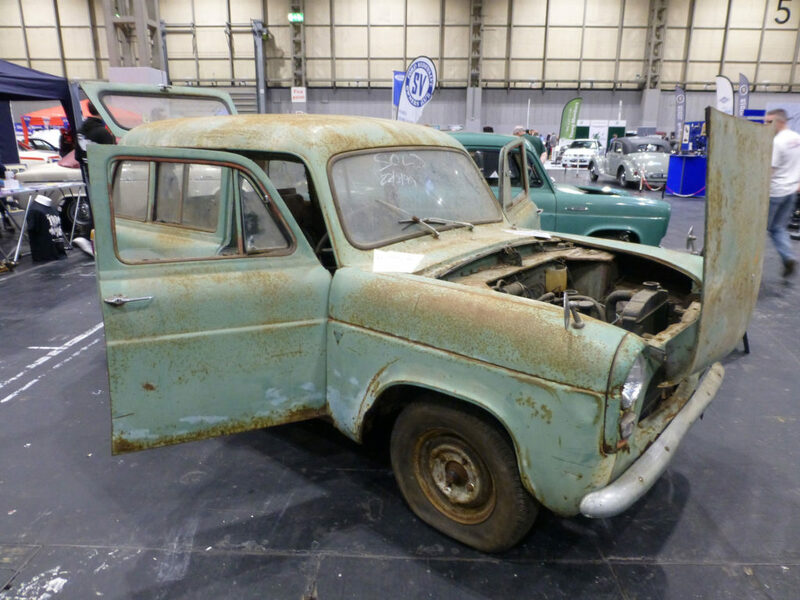 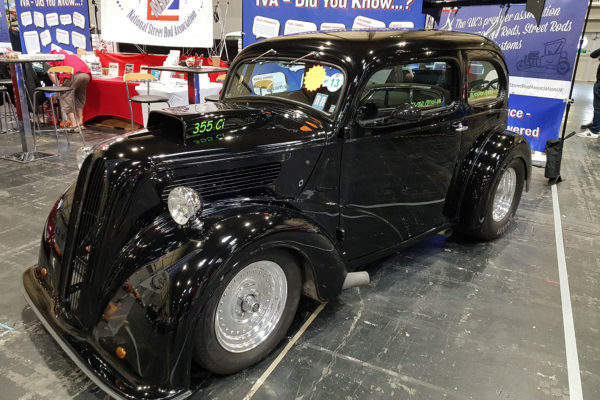 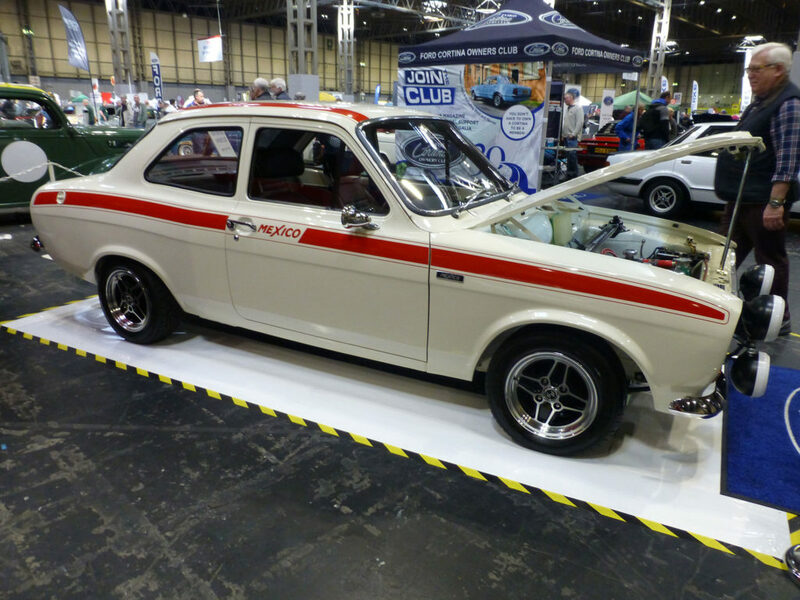 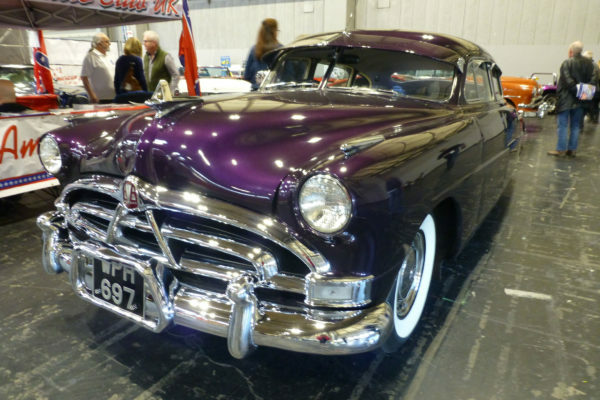 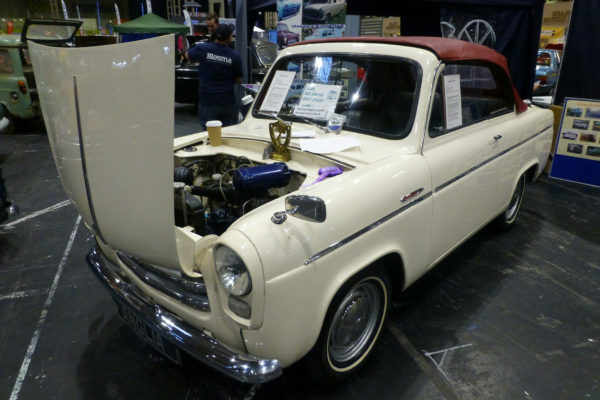 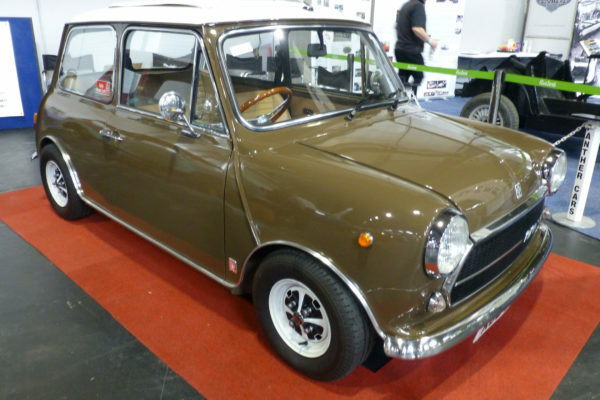 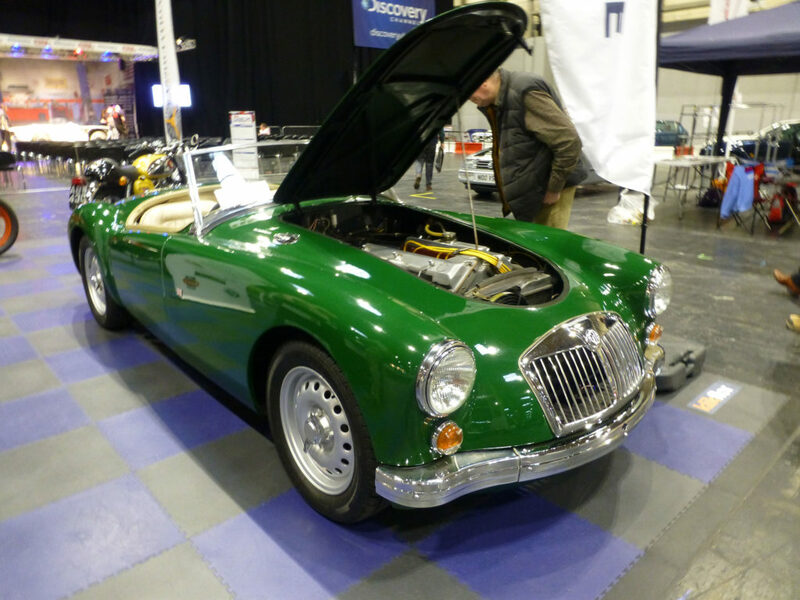 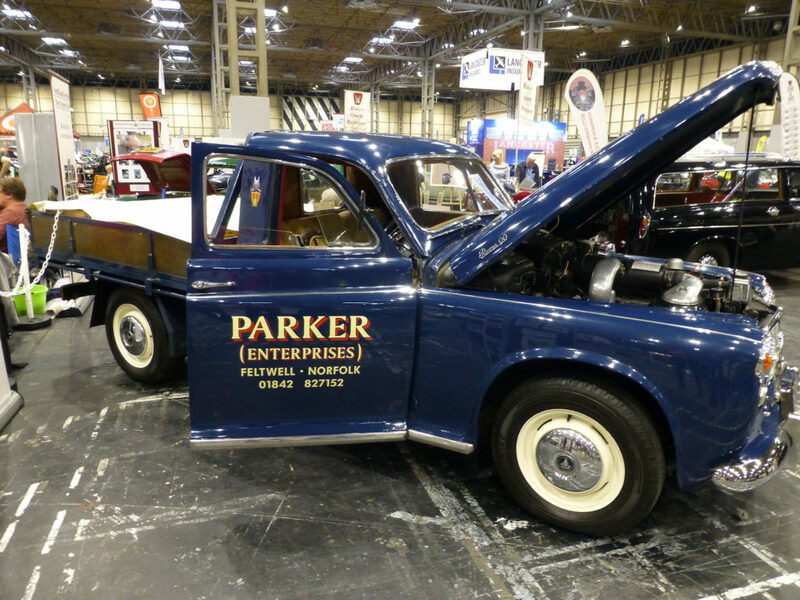 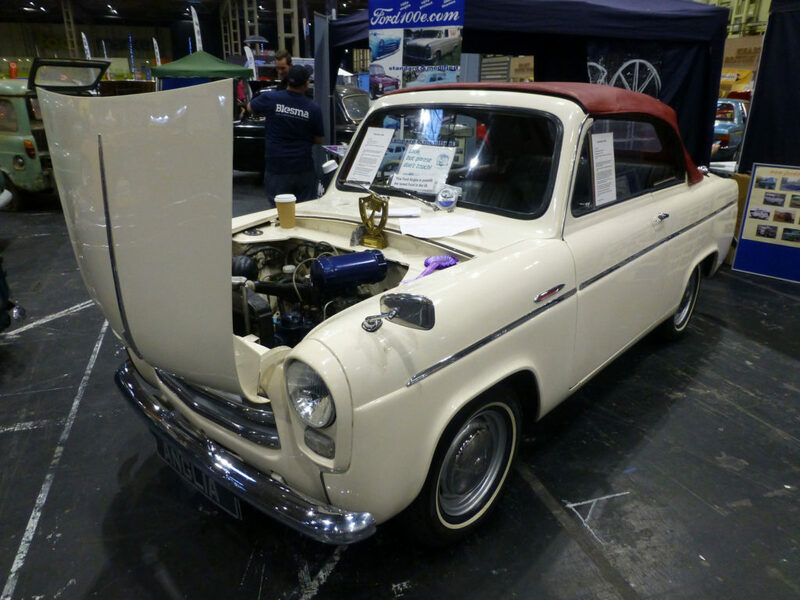 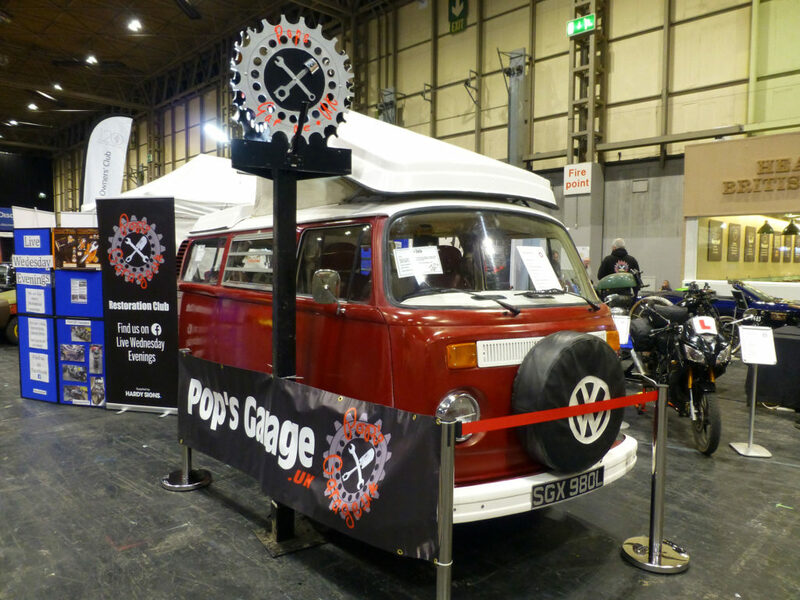 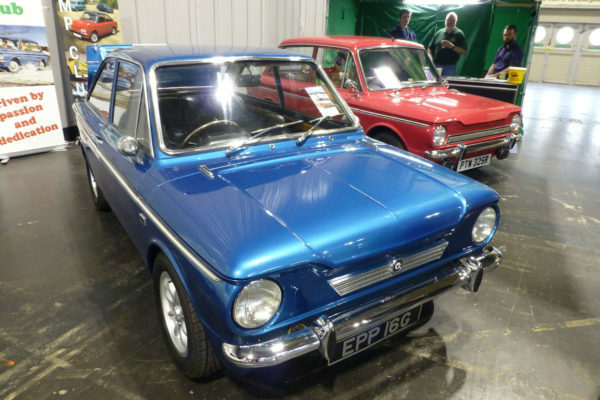 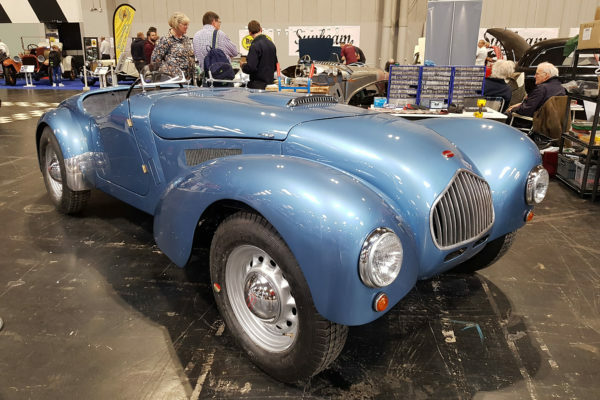 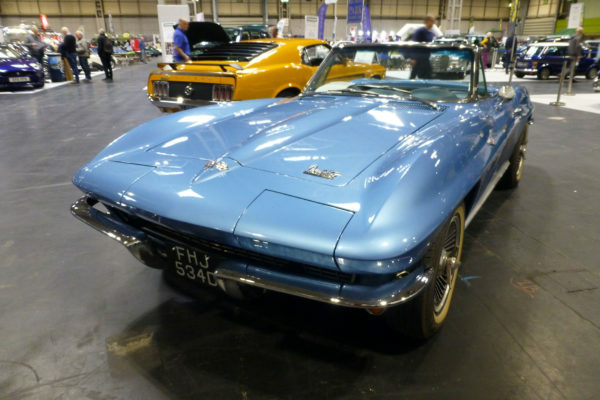 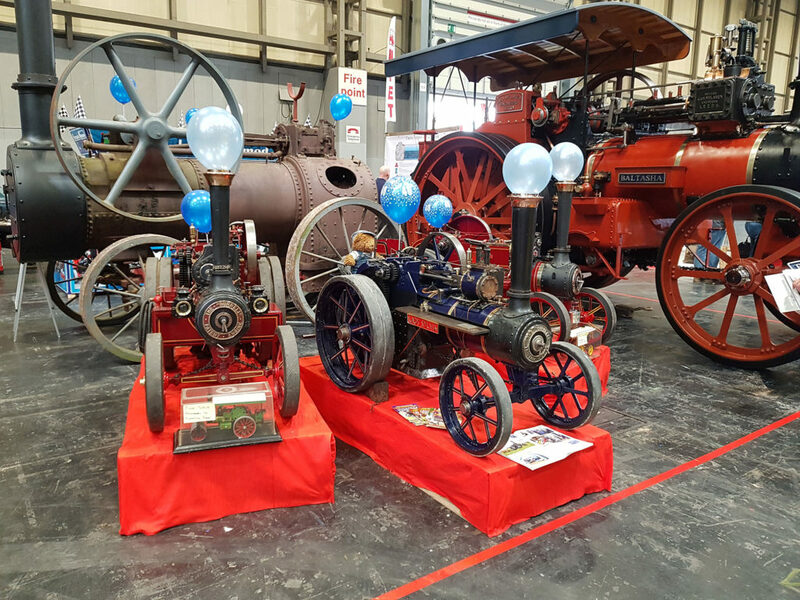 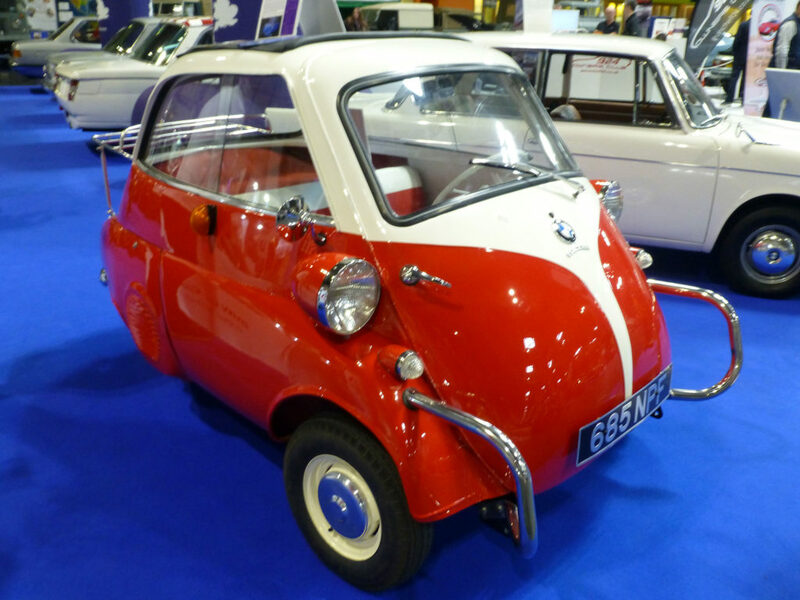 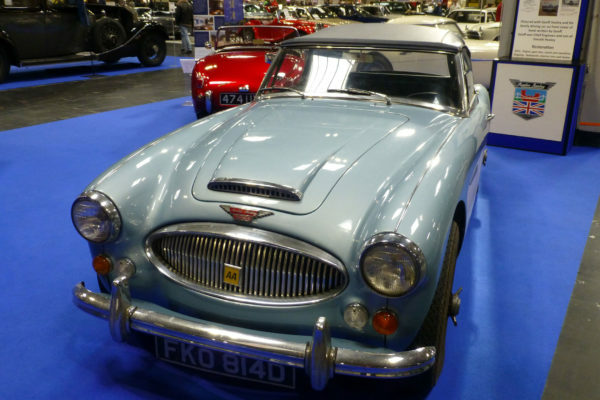 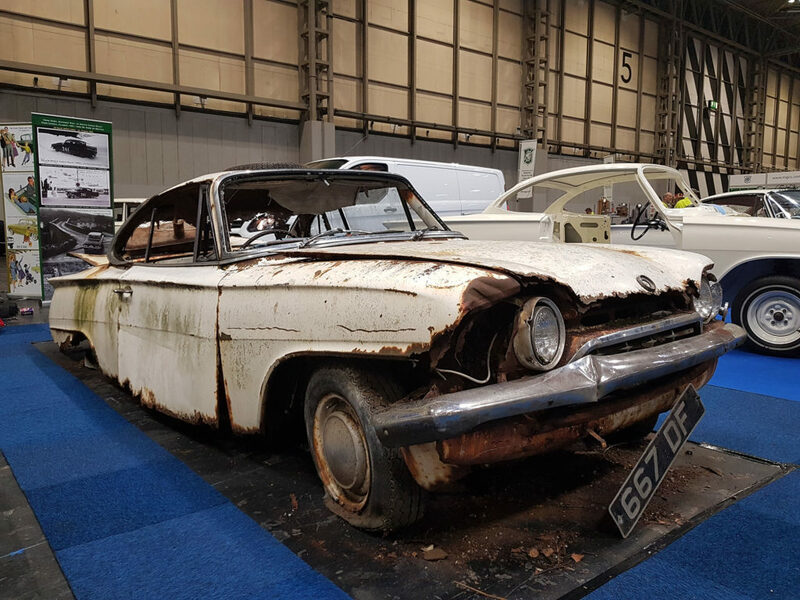 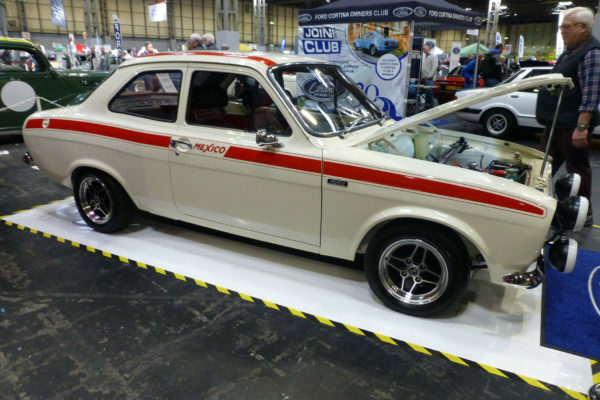 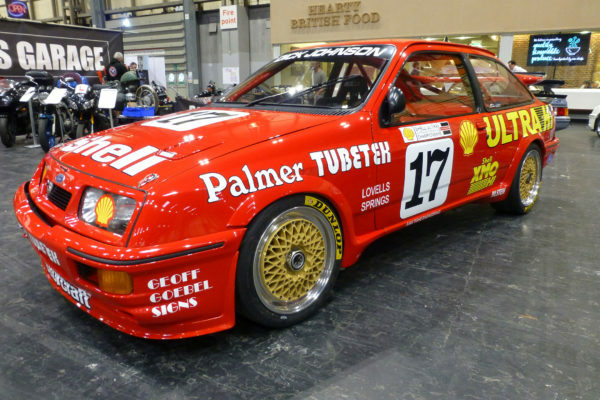 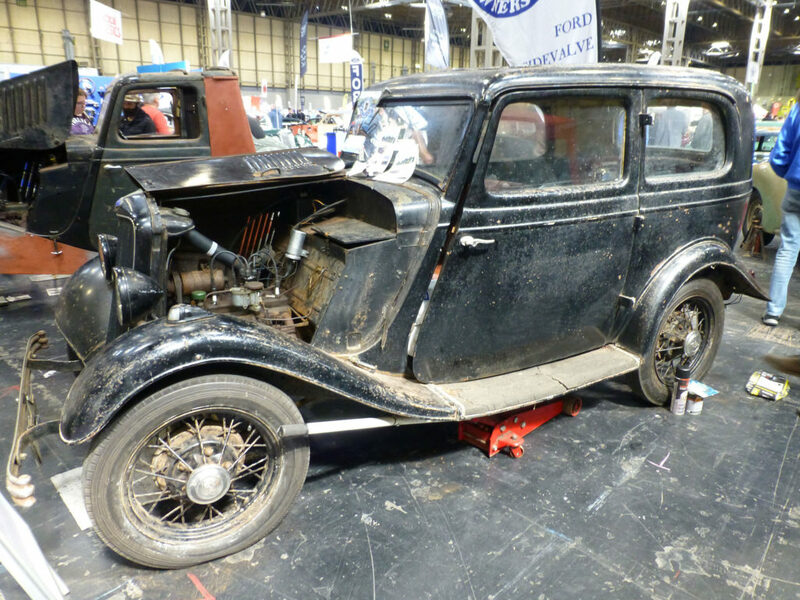 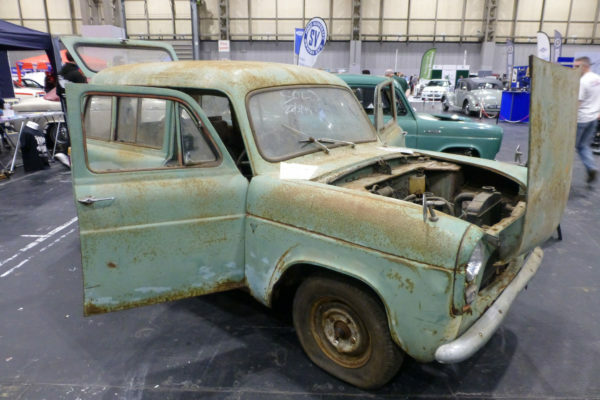 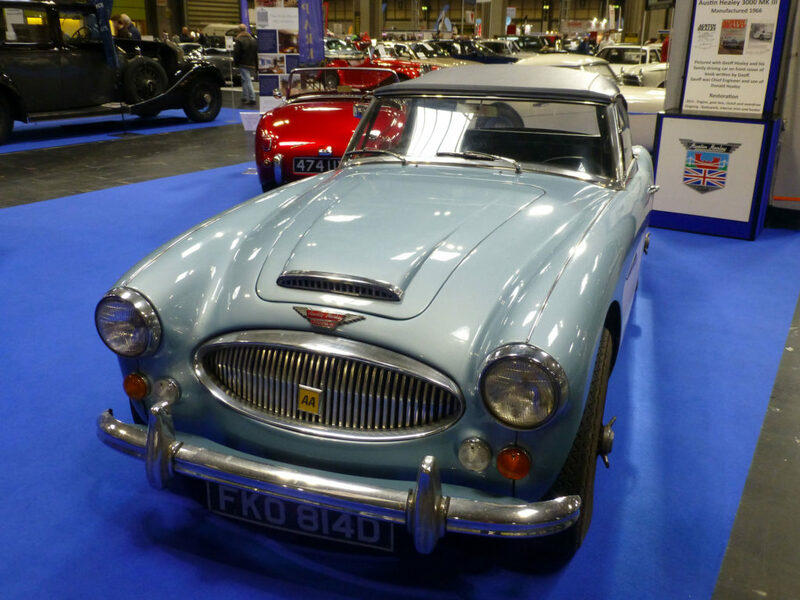 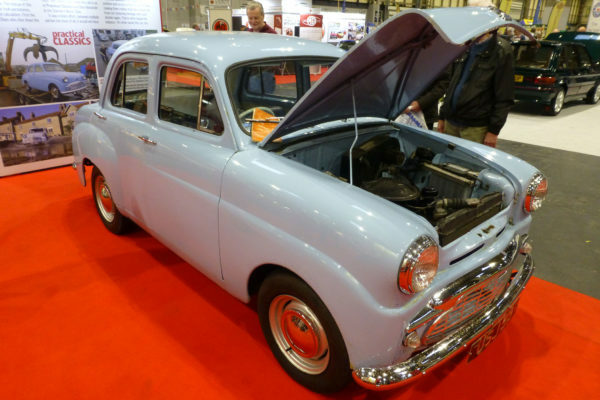 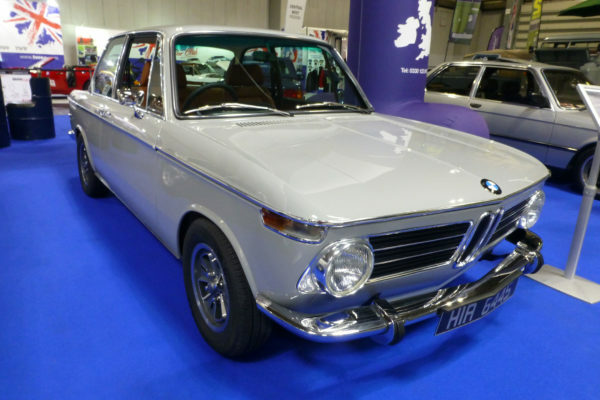 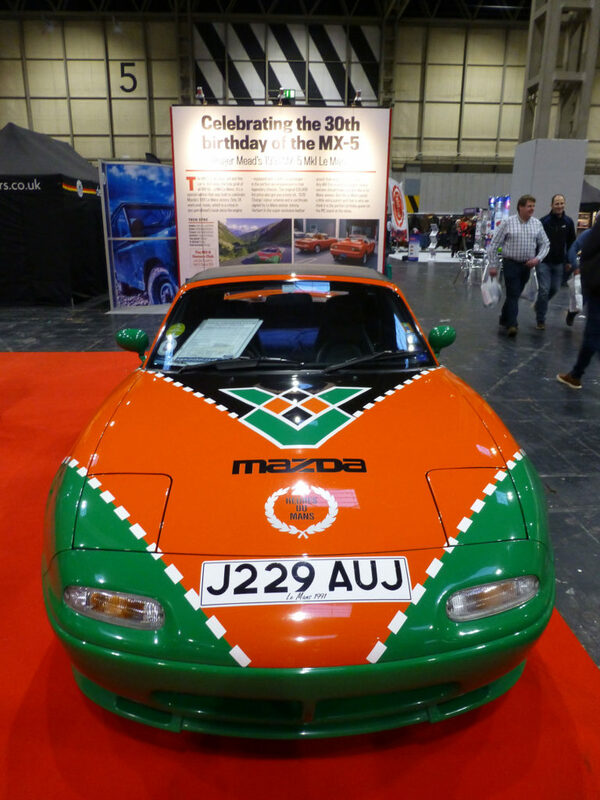 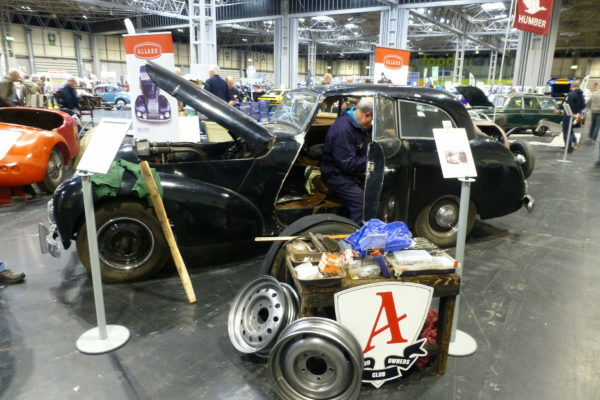 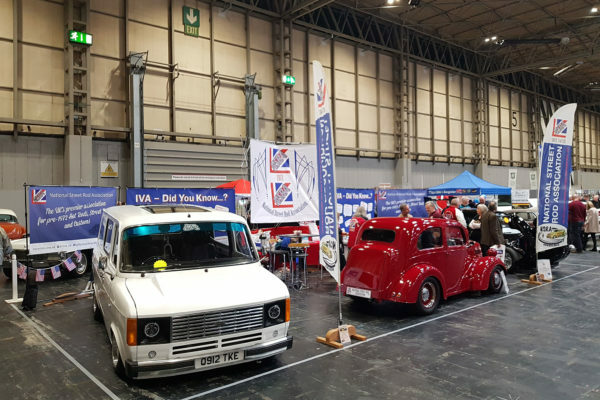 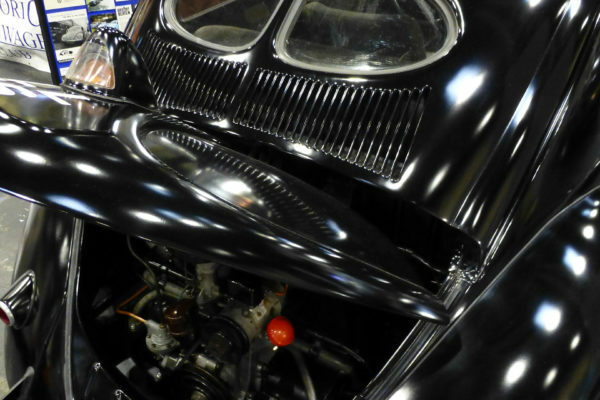 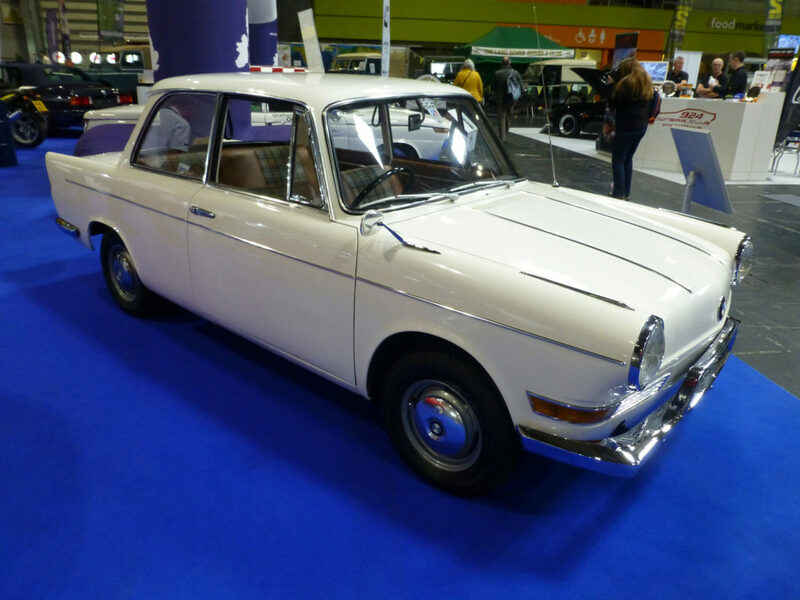 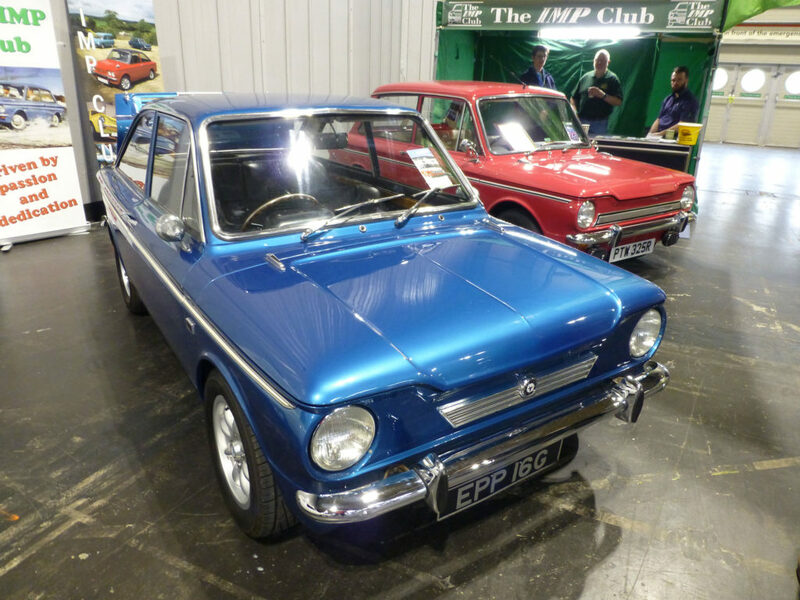 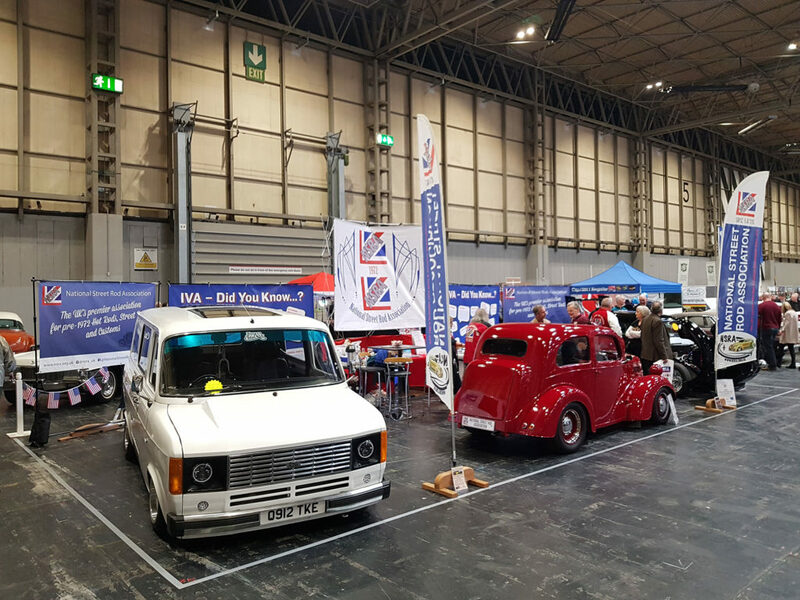 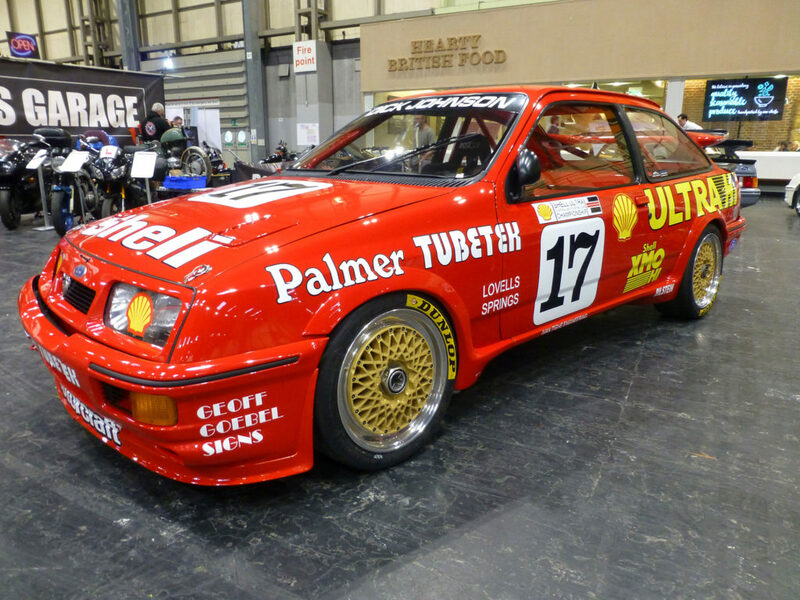 This year’s Classic Car & Restoration Show was packed full of fascinating live restorations, rare vehicles and was great celebration of vehicle clubs in the UK. 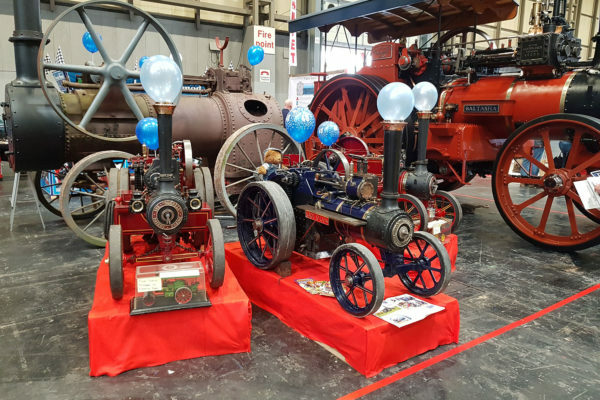 Although we did not have a stand at the show, we went along to catch up with all our partner clubs and friends, and of course to check out the displays! 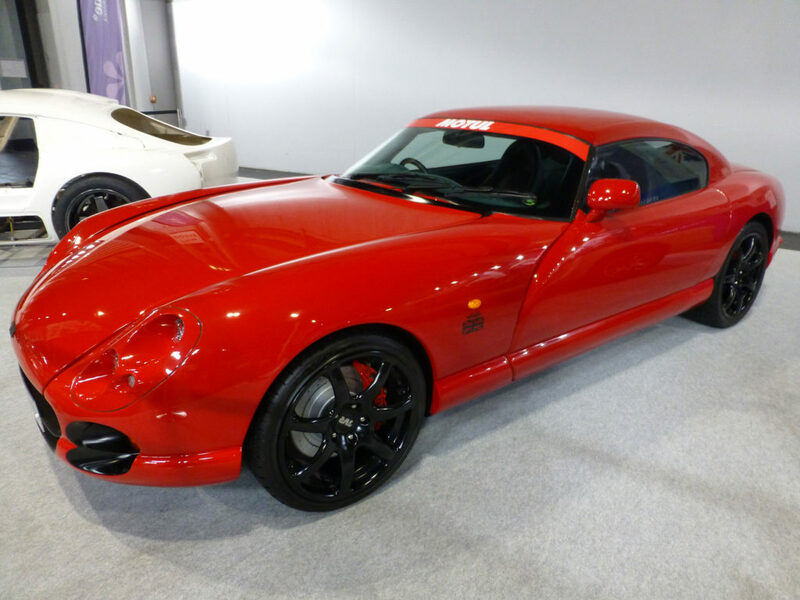 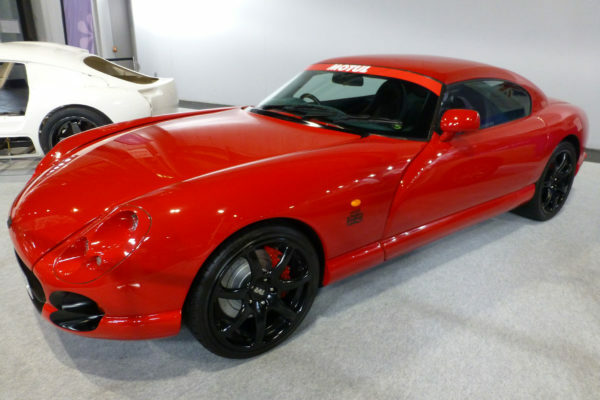 Elsewhere around the show we were drawn to the modified 2.5 pi on the Triumph Sports Six Club and thoroughly enjoyed looking through the owners build photos of this great car. 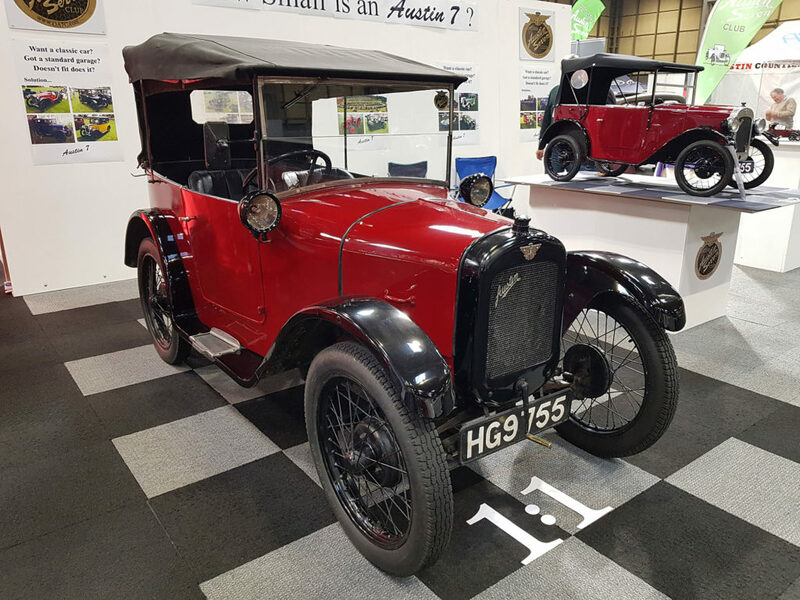 The Online Austin Seven Owners Club featured several scaled versions of an Austin Seven from life size to a 1:1575 scaled model! 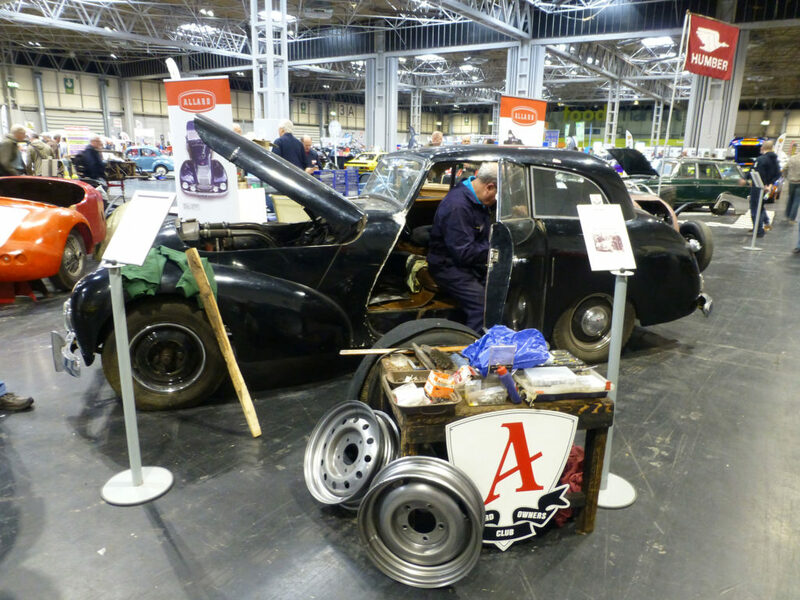 The Allard Owners Club showcased their skilled craftsmanship and we received a really warm welcome by the team at the Rootes Archive Centre Trust stand – keep an eye on our Facebook page for the dates of their centre open days this year. 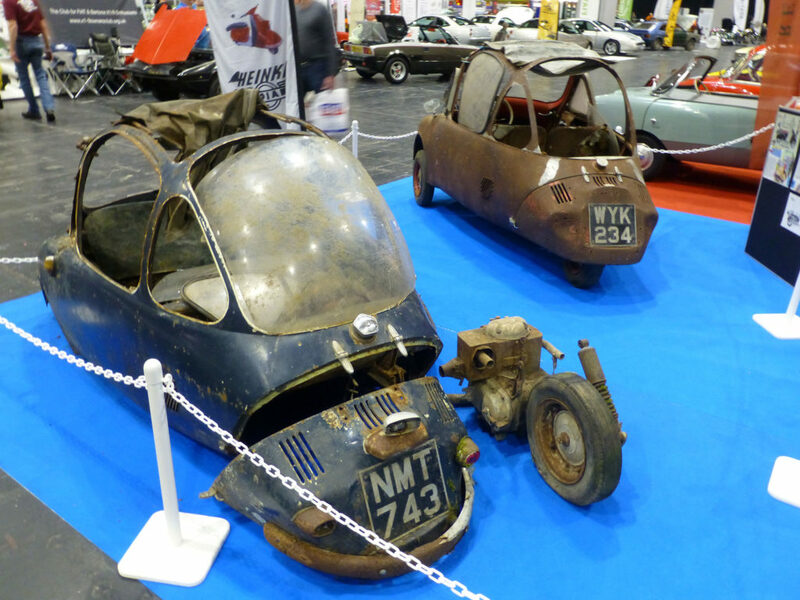 There were some great barn find projects at the show too. 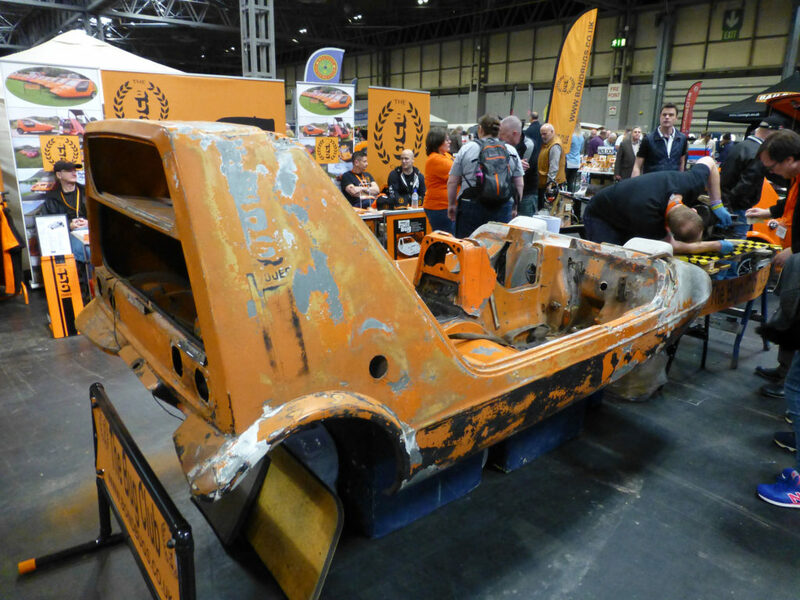 A Capri on the MKI Capri Owners Club stand that was found on Facebook a week before the show and purchased for £300. 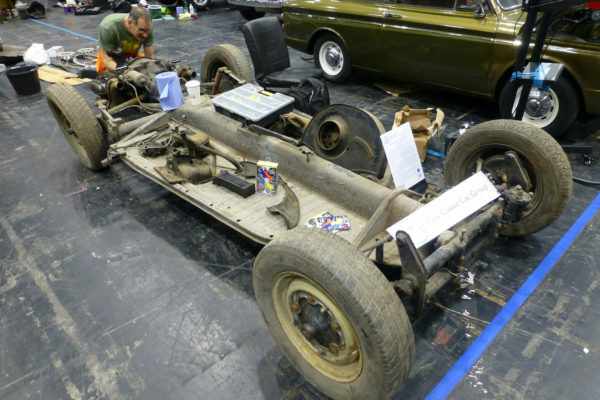 The Ford Side Valve Owners Club had a rare two door Prefect that was found in a garden greenhouse and our friends at Ford100e.com had a Ford Squire ready for restoration. 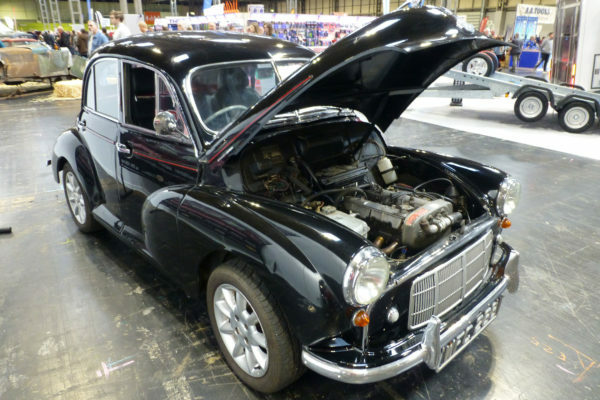 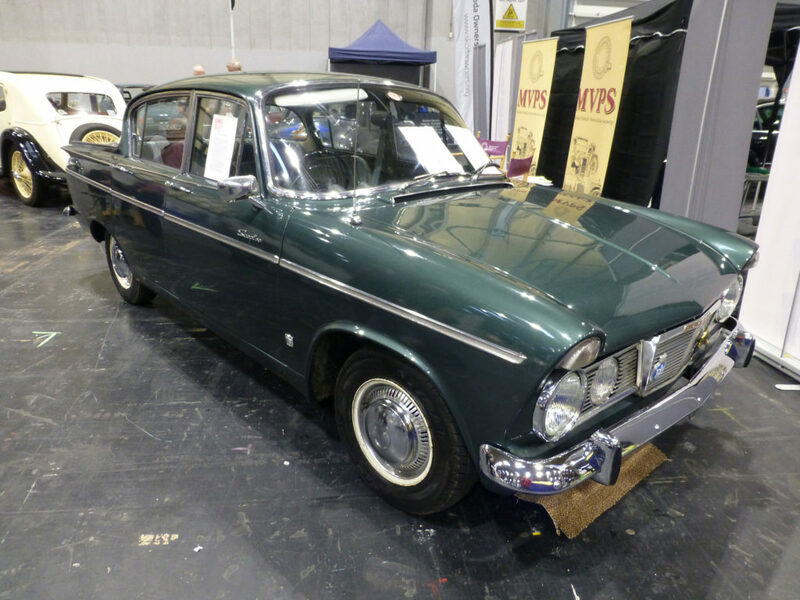 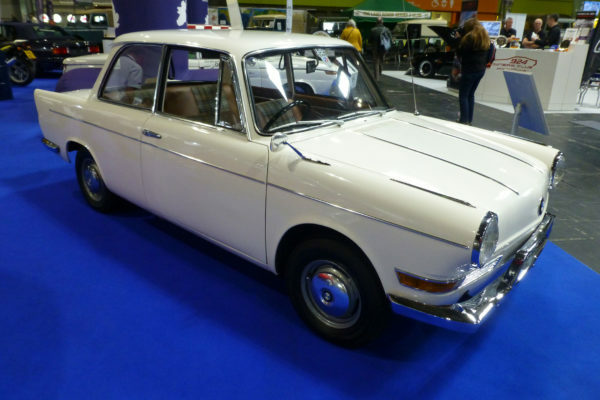 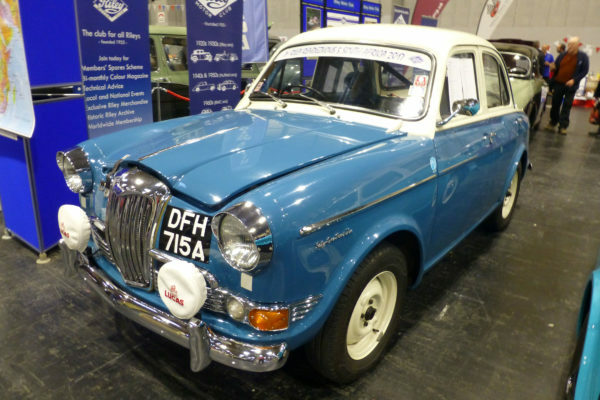 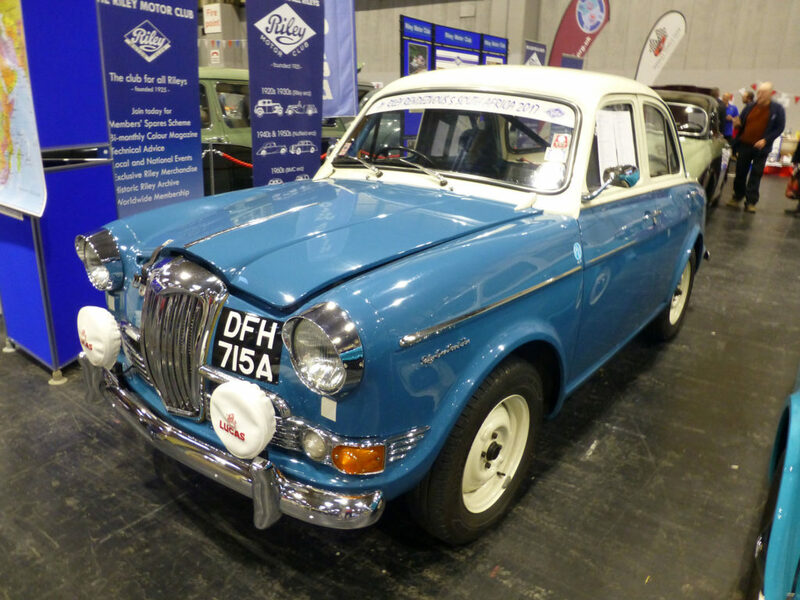 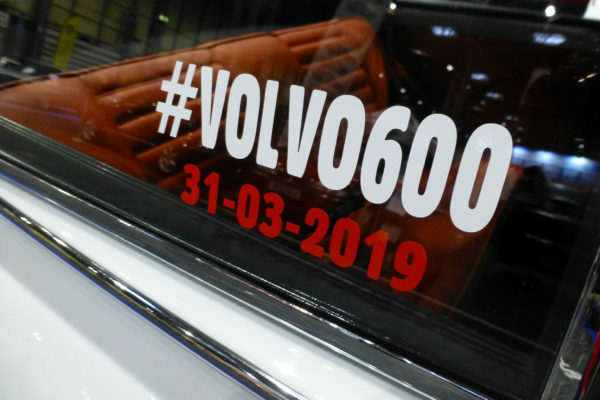 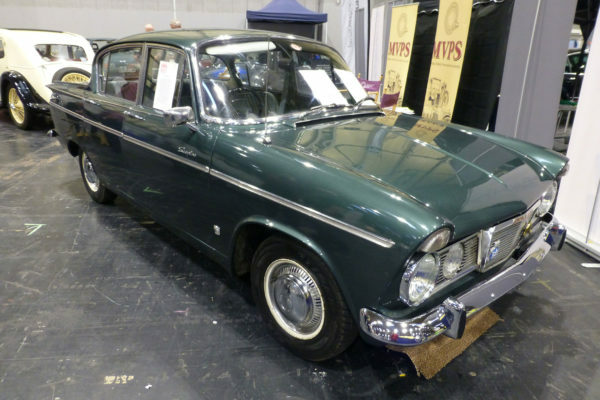 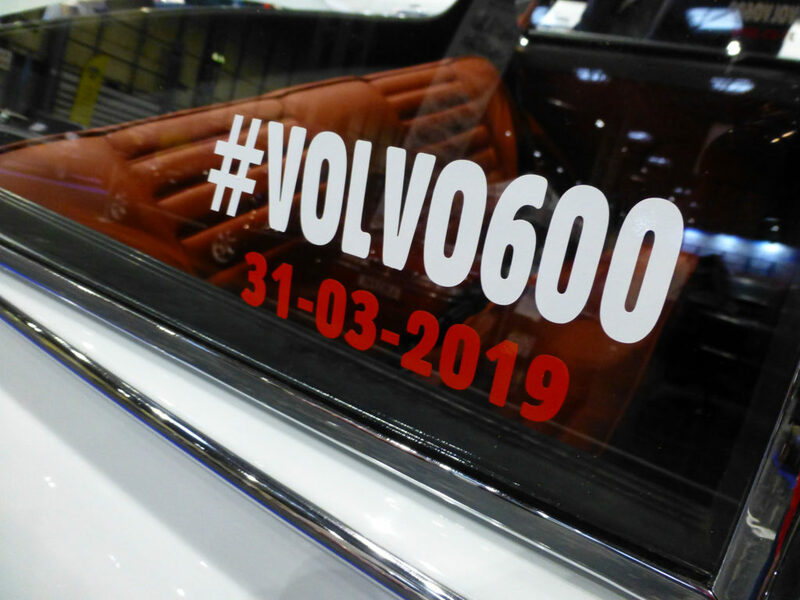 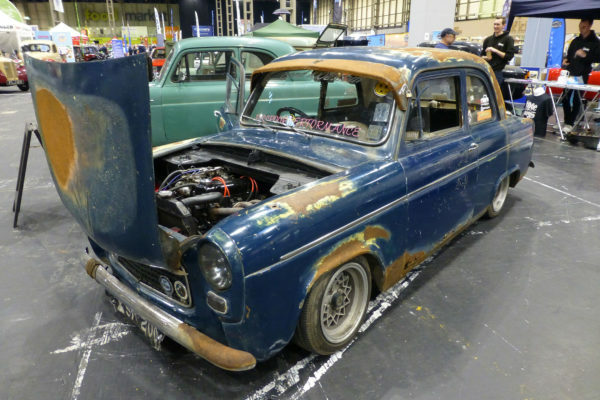 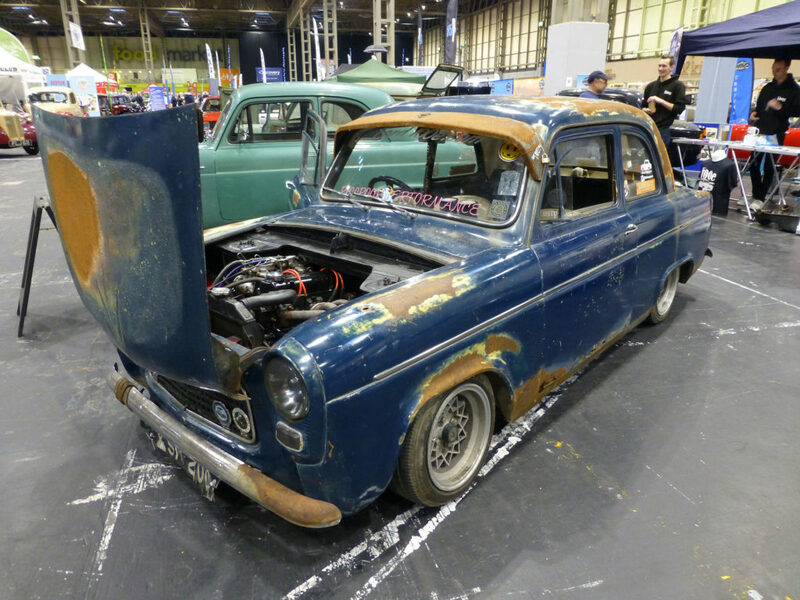 Other cars that caught our attention included the perfect white Volvo Amazon on the Volvo Owners Club stand – we spotted that this custom car will be taking part in the upcoming Volvo600 Gathering on the 31st March along with the ClassicLine sponsored Pub2Pub team. 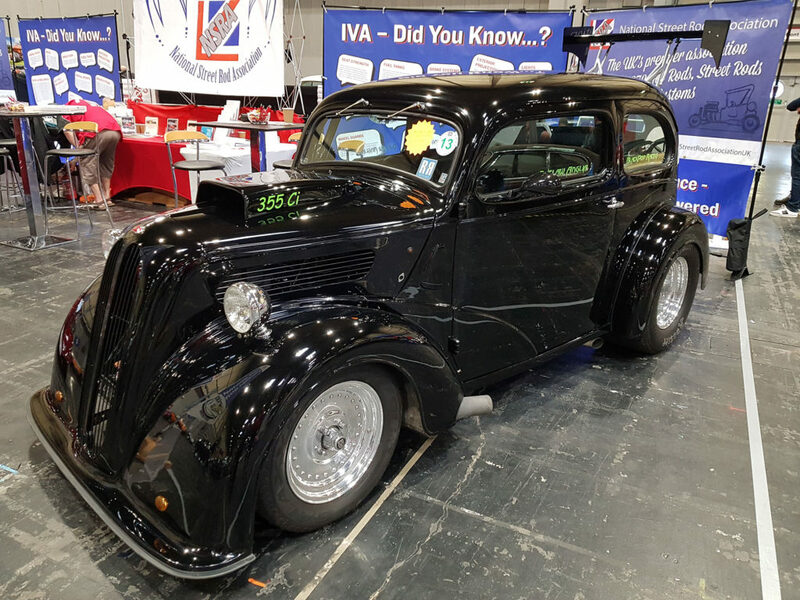 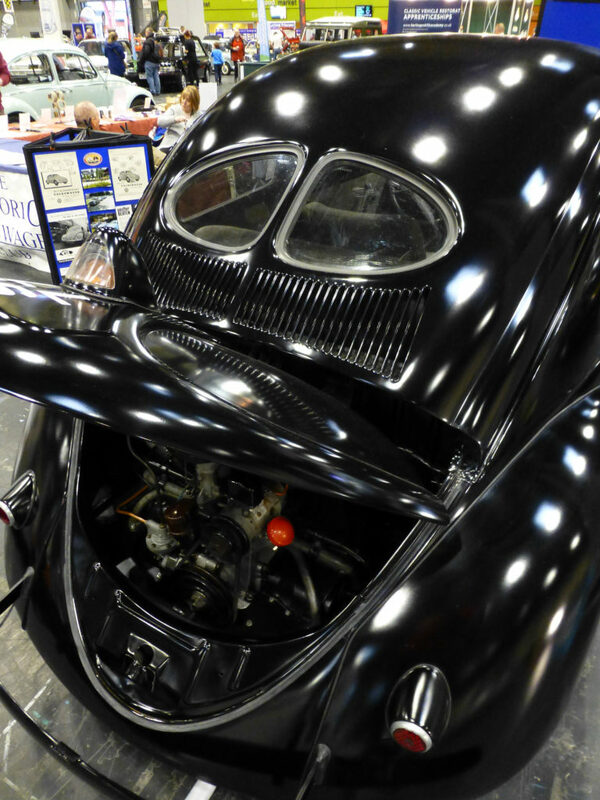 The Historic Volkswagen Club showcased a rare split rear screen 1946 black VW Beetle and our friends at the NSRA did a great job creating awareness of Individual Vehicle Approval featuring three IVA hotrod builds.